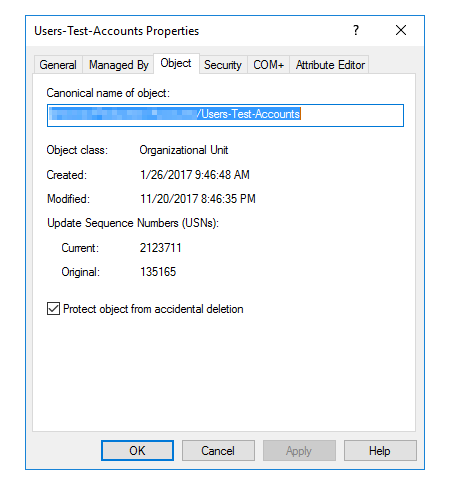 Sometimes when you want to clean up Active Directory by deleting or moving Organizational Units you get Access Denied error. For a Domain Admin this is quite unusual message. This is related to security option Protect object from accidental deletion. While you can simply uncheck it, press ok and move one OU it gets much harder if you've lots and lots of OU's to clean. Fortunately one can always look for powershell solution to fix this. And that's it. Keep in mind the last line of script is disabled so that if you copy paste you have to remove # to make sure it works as required. I usually tend to display things first and uncomment later just to make sure the output is what I expected.